Descartes Place — Northern Concepts Ltd.
Modern flare in a mountain city. 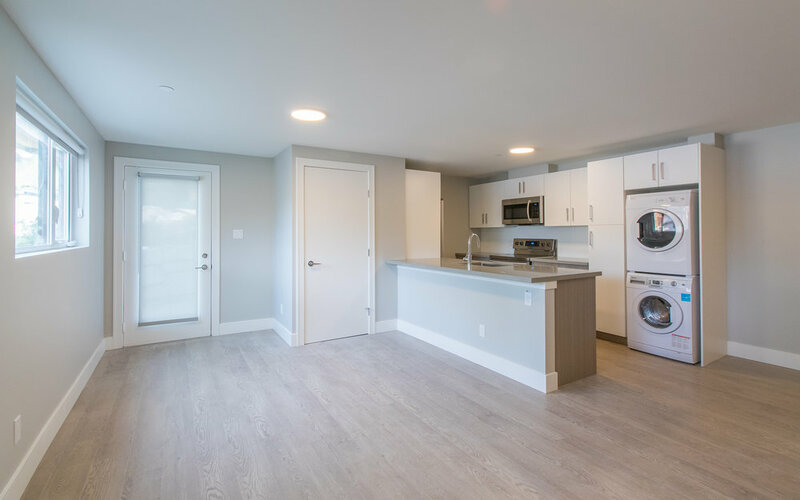 Our first project in Squamish commenced in September 2016 and was completed in July 2017. 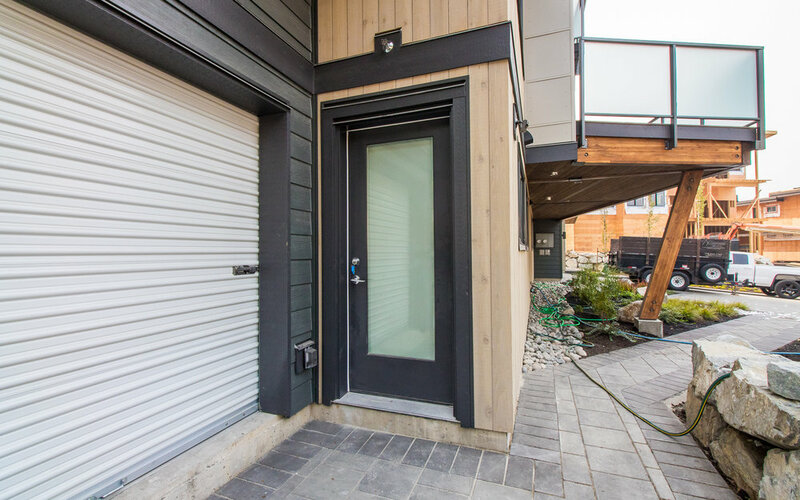 This 7 bedroom, 4.5 bathroom house is located in the University Highlands area of Squamish, and features a mountain backdrop to the East and views of the Howe Sound mountains to the West. The contemporary design lends itself well to the unique shape of the lot, and also helps to implement energy efficient practices. This contemporary home features an open concept living room, dining room, and kitchen, leading into the grand master bedroom. This master bedroom is complemented by a luxurious five-piece bathroom, including a jacuzzi tub for two. Additionally, this house also contains a two bedroom basement suite, an outdoor storage room, and a two-car insulated garage containing a Tesla ready, in-home car charging system. Some of the highlights include wire-brushed oak flooring, custom oak cabinetry and luxury engineered quartz countertops, not to mention a built-in smart automation and home theatre system that will control music, lighting and heating, along with summer cooling through the air conditioning system.